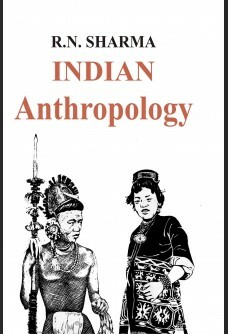 Modern interest in Indian Anthropology dates back to the British in India. Some British scholars studied tribal culture by the method of participant observation and wrote interesting works which introduced India Anthropology to the West. Since then, some Indian Anthropologists also presented important works which were comparable with the works presented by western anthropologists. With the growth of India Anthropology, distinct contribution has been made to the study of tribal and peasant sections of Indian population. In view of the problems faced by these sections, the constitution of India has provided safeguards for the scheduled tribes. This book starts with a review of the different dimensions of India culture and points out the racial and linguistic elements in Indian population. Effort has been made to present each subject in this book briefly and to the point. Each discussion has been divided under several central headings and each center heading into sub-headings. This analytic method has been adopted to facilitate understanding and memorisation of the subject.